One of the great things in life is Enjoying Food! Living on Long Island was a great place to start her life's passion for creating her delicious cakes, Desserts, Breads, and dinner specials. In the 80"s they opened a pastry/bakery in NY. It was a labor or love making everything from scratch and serving all of her creations to a loyal clientele. Moving to the Outer Banks in 1989, they opened the areas 1st Bakery. 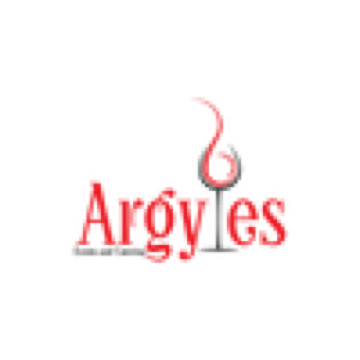 In 1994 Debra and her husband PJ opened Argyles Restaurant and Piano Bar. They are passionate about serving delicious food. The menu reflected their creativity calling it Plates of Art. All of their food is made from scratch. Debra is the Executive chef, while PJ handles the Front of House and logistics for the catering. For Debra when preparing different menu's it is all about the flavor. Every bite must give you an Ahhhhh... Food is one of life's simplest pleasures and everyone loves to eat! Pj handles all of the setup and running of the events at the restaurant and in the field. He is meticulous in making sure every detail is completed to our brides wishes. In 2010 Debra was asked by Bon Appetit Magazine to showcase her Belgian chocolates at Las Vegas Un Corked! The same year both she and PJ took extensive classes to become Master Gelato makers serving their Gelato at their shop "The Sweet Duck" in Duck, NC. So while planning your wedding, if you have any ideas for Great Food, Cakes, Dessert Bars, Gelato Bar, or Hand Made Belgian Chocolates look no further, Debra and PJ can help you.